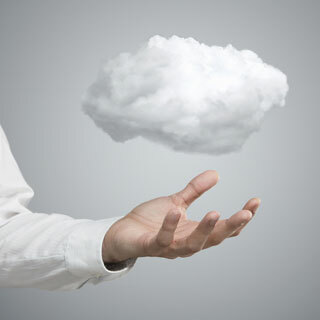 Cloud data and service capabilities within easy grasp. In the last five years we have seen significant momentum in the migration of business applications and services to the cloud. The rapid expansion of fast, cost-effective internet and powerful mobile devices promises new ways to collaborate everywhere at all times, a process that will continue to accelerate in the years ahead. If your business needs to be able to quickly scale up resources, Cloud Computing may well be the solution that WeSeeNow can personalise for you. Utilising Cloud not only brings fluency to the way you work, it’s also like having a second special office in the sky. Take advantage of the following applications without the hassle, cost, equipment and resources required to manage them yourself. There’s no need to purchase hardware and you get the benefits of an enterprise-class data centre for a fraction of the cost of an on-premise solution. Microsoft Exchange email service hosted at our data centres to remove the need for an expensive onsite server but with a reliable email service. Making it easier for your staff to work together, share information, manage documents, publish reports and make better decisions. Microsoft Outlook messaging and collaboration client is already the world’s leading tool for customer communications. Microsoft Dynamics CRM solution extends the reach of Microsoft Outlook by turning it into a tool to manage customer information. It puts lead information, marketing pitches, and sales call information into one central location. Microsoft Dynamics provides you with the flexibility to integrate sales, customer service and marketing processes, to provide an exceptional customer experience and maximise your business potential. Unified Lync provides a single user interface to communicate with your colleagues and contacts from anywhere, anytime and from any device in a cost effective and secure way. The technology allows users to collaborate effectively via a laptop or PC from any location with access to instant messaging, voice and web conferencing and much more. We realise a commanding web presence is an essential marketing tool in today’s business and service environment, and therefore provide our clients with total internet solutions not just a web site. Also, with thousands of domain names being registered each day, it can be tricky to find the perfect name. We offer domains with various extensions at excellent prices, making it easier for you to still find a great name for your business or project. Working with our partners we offer our clients the ability to provide DNS management and backup services using servers diversely located across UK / Europe and the US, ensuring better reliability and speed. We also provide backup email facilities, for those wishing to run their own email server. We receive emails on your behalf when your server becomes unavailable and redeliver them once it is back online. Our enterprise grade cloud backup solutions automatically backup and store vital data from servers, desktops, laptops, applications and raw files on your LAN or mobile devices. Flexible, automated and secure, our cloud backup solutions provide a convenient, fool-proof backup system, giving you greater security and ensuring your data can be quickly and easily restored in the event of a disaster. Sophisticated retention rules give complete admin control of the backup process and data storage, with advanced continuous monitoring of target files. All backup solutions provide an exceptional level of security with data encryption up to AES 256-bit. A secure, affordable, trouble-free alternative to purchasing, managing and maintaining your desktop equipment. Our Cloud Desktop is an Internet-based hosted desktop solution where all software traditionally located on your desktop is stored and managed on our data centre servers. Take advantage of our expertise, facilities and support to achieve all the benefits of virtualisation without the time, costs, and resources required to deploy and maintain your own on-premises solution. Using industry-leading vendors and Microsoft cloud applications, we deploy, manage and support your business’ virtual server environment. Need some advice from our Cloud team? Tick - If you are happy to receive future information about our services via email.